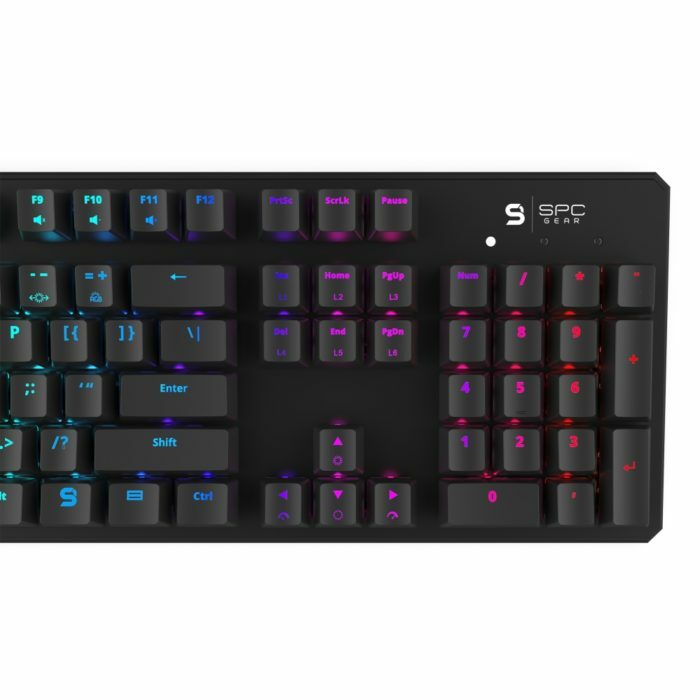 SPC Gear GK540 Magna Kailh Red RGB is full sized version of mechanical keyboard, for users who desire classic design. It was designed mostly for the games, where reflex and quick reaction time are key for the final win. 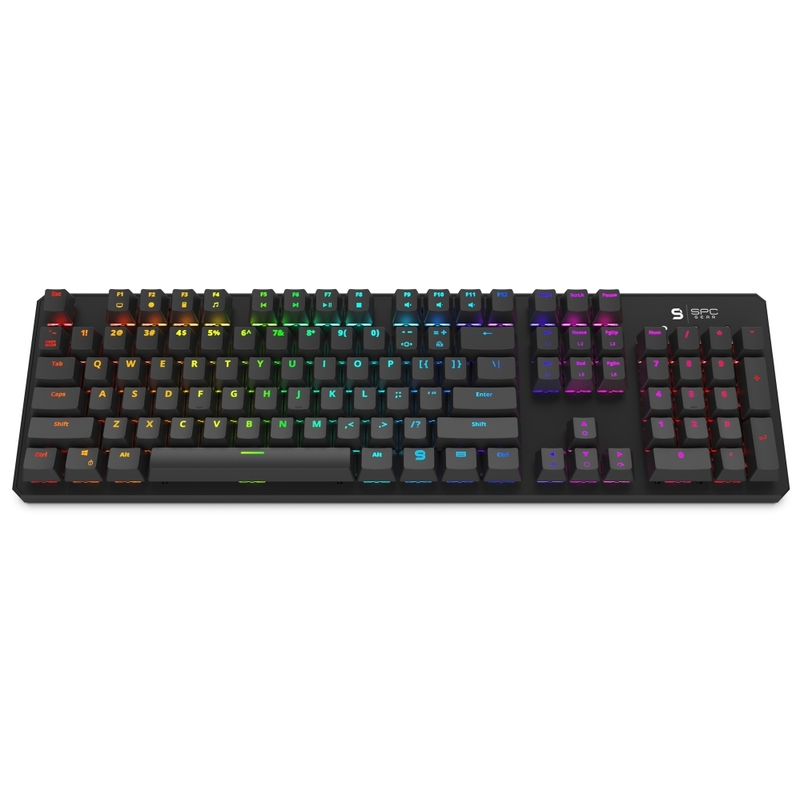 The macro creation function, and individual highlighting of each of 104 keys will help to adjust the keyboard to your own needs, and the software allows its quick and easy configuration. Metal top cover and rubber legs make it a stable construction. 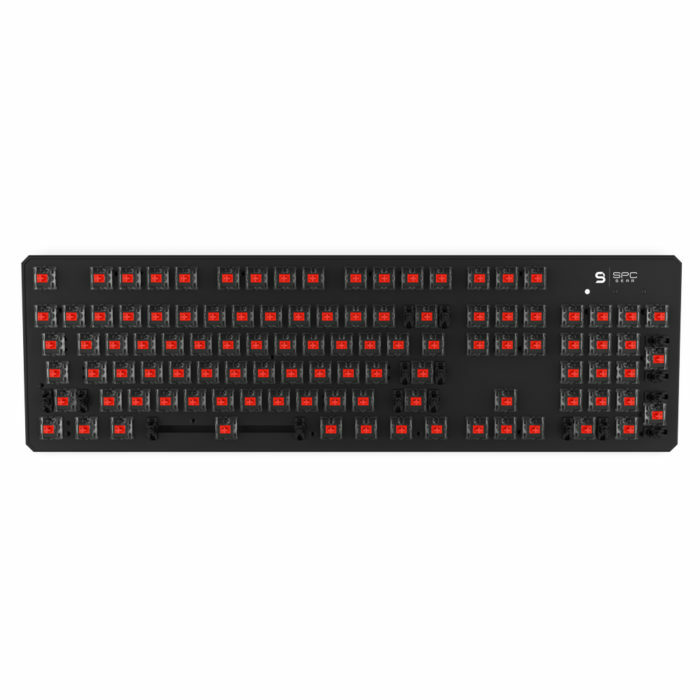 The sensible Kailh Red switches helps to get an advantage above the opponent. The SPC Gear GK540 mechanical keyboard has been created for the players, who love simple shapes. 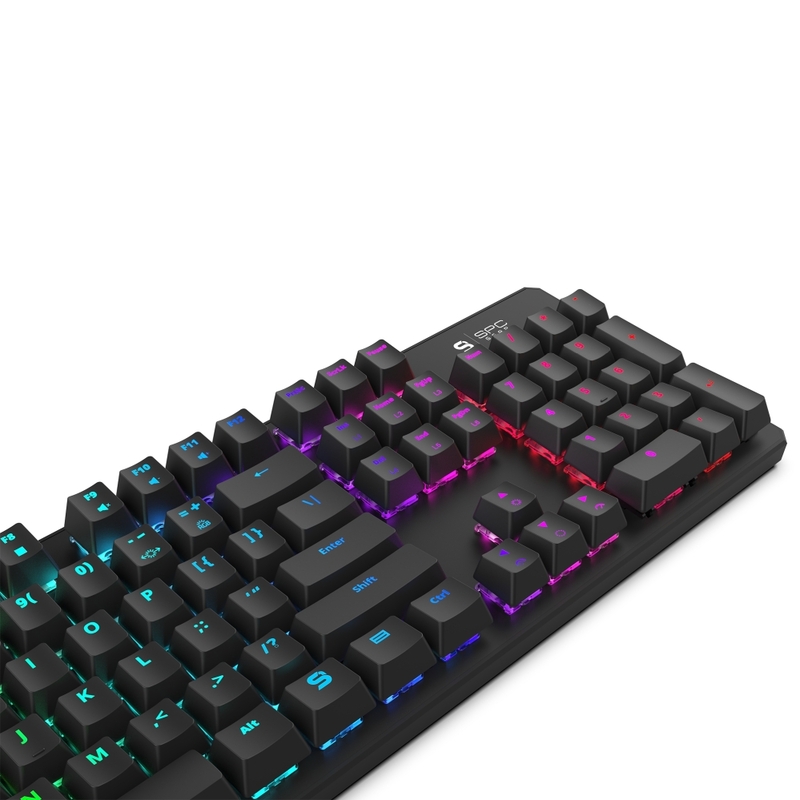 Classic construction, metal top cover, and 104 individualy highlighted keycaps make keyboard an attractive product for day to day users. It will be a perfect solution for the players who appreciate high functionality and full set of keys. 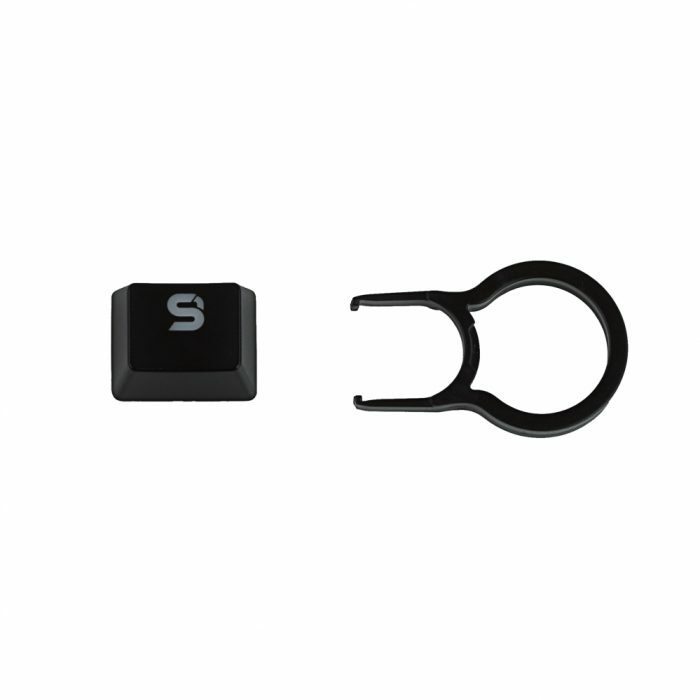 Thanks to metal strenghtened frame, keyboard despite the small size provides a good grip, while keeping the right stiffness. The device will prove itself successful, wherever it might be needed. The spot RGB lighting gives almost unlimited numer of color combinations, thanks to which you can choose from 18 effects – starting from fixed lighting, through moving light patterns, to lighting that reacts to key press. 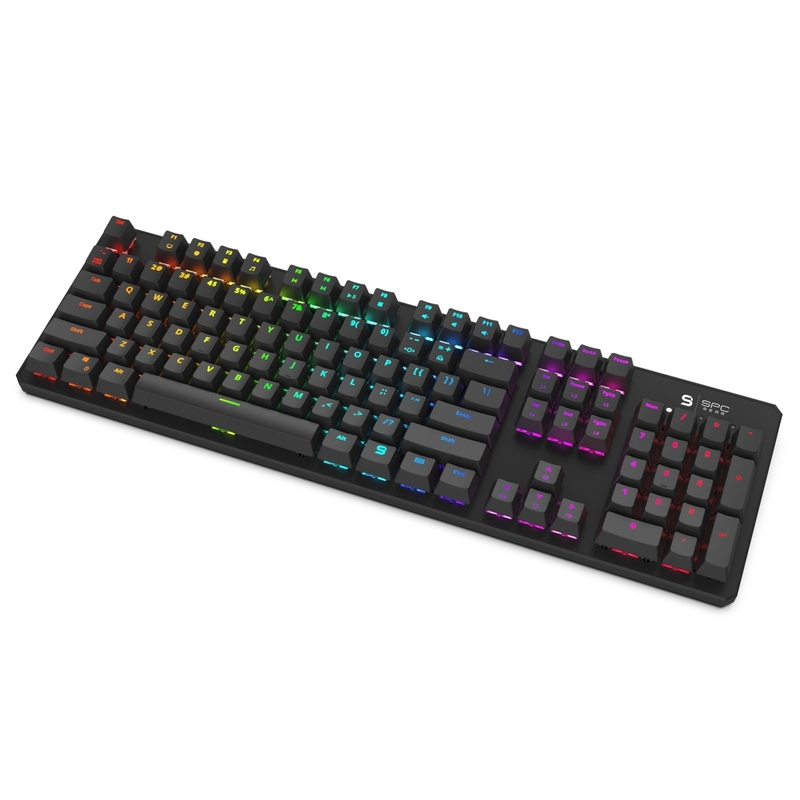 Amaze your friends with the unique keyboard! 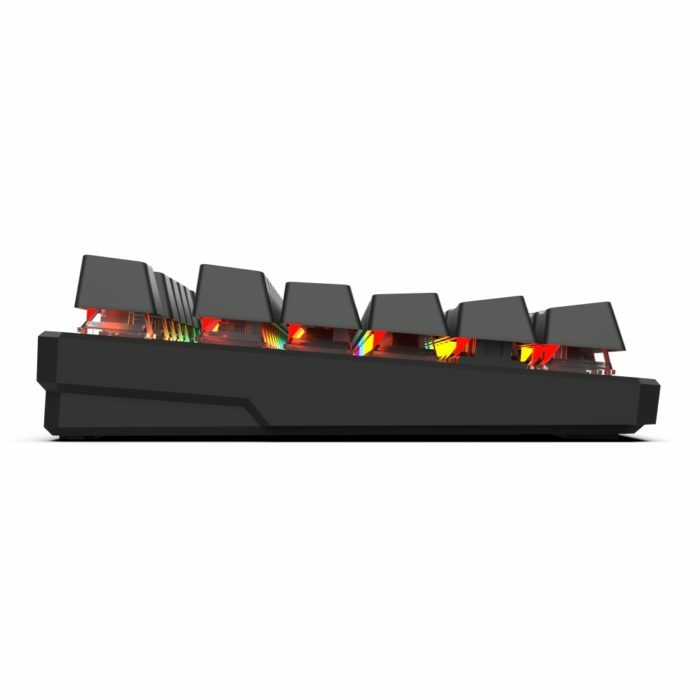 Kailh Red switches are designed for the players. 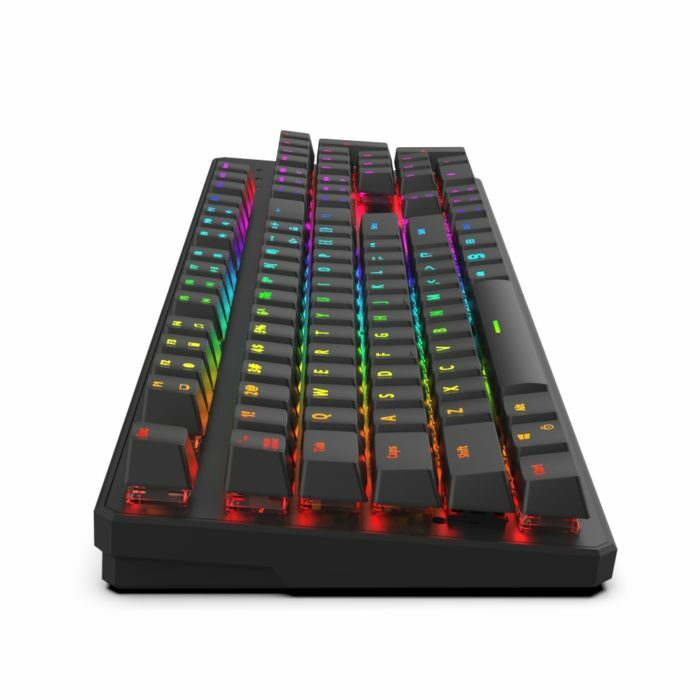 Keys require almost no force to be activated, which improves our chances in FPS or Battle Royale type games, where quick reaction times is the key. Kailh Red switches are also more quiet than blue version, which makes them a perfect match for night gaming. The full sized keyboard is the universality popular with most users. Well profiled 104 individually highlighted keycaps will provide unique character and comfort, not only when writing but also when you decide to have some rest with your favourite video game. N-Key rollover function provides full anti-ghosting. It means that you can press all keys in the same time, and each of them will be registered separately. The only limit is your invention. Both in games, and in day to day usage, you can programme any macros. It means that you can assign a function which will normally require a combination of couple key presses to a single key. Thanks to the software you can set everything up as per your personal requirements in a few minutes. 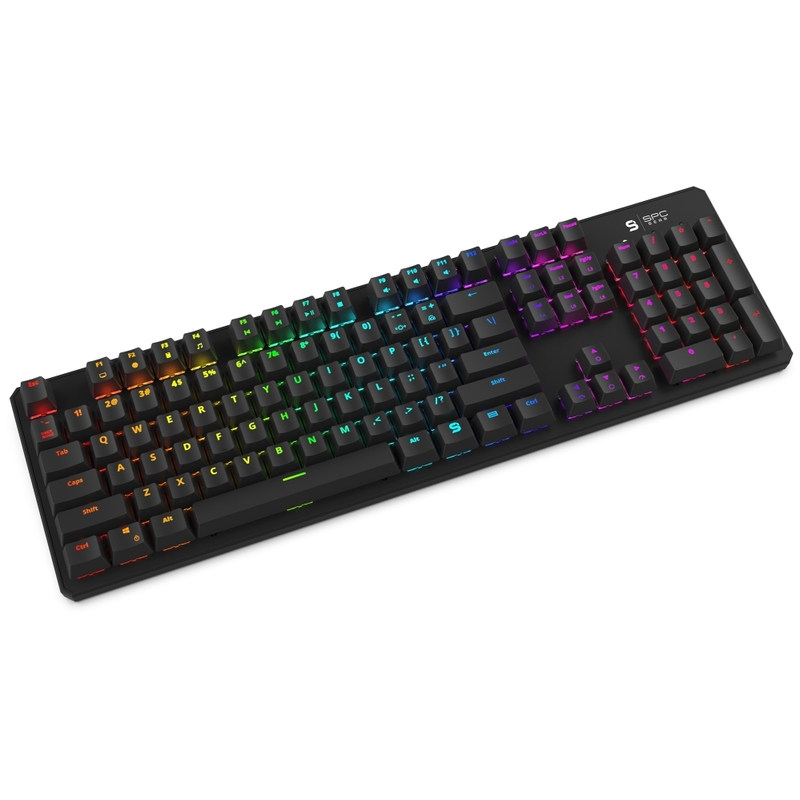 Make your gaming and work life easier! SPC Gear software for keyboards makes the lighting modes management even easier. 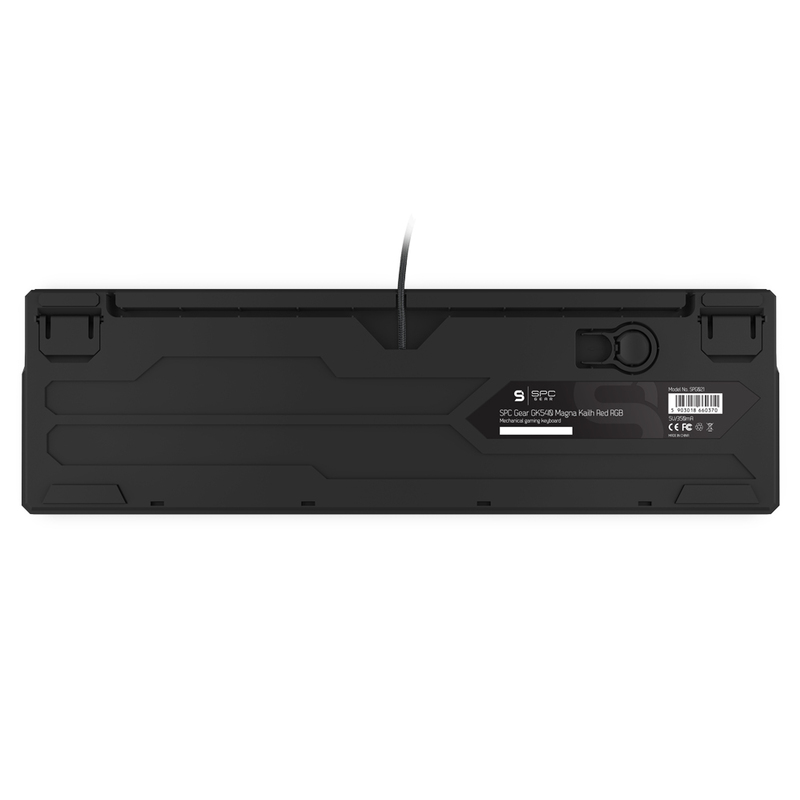 It allows the user to comfortably adjust lighting animation speed, its intensity and style. Another special function of the software is possibility to create easily editable macros – key sequences set by the user. The speed of macro execution can be adjusted while recording sequence.